The transition from primary school to high school can be a daunting prospect but we have a well established programme to help young children adapt to the change. We hold over 100 transition activities each academic year and it’s a great way for primary school pupils to meet staff and students and have lots of fun too! We know that the move to high school can be difficult for parents too! Here is a helpful guide to answer some of the most common questions we get from parents. 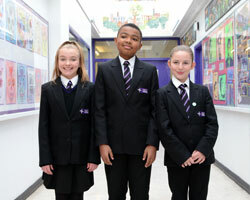 We have an open door policy in school and invite visitors at any time – just give us a call to arrange. Similarly, come and meet with the Head Teacher, for an informal chat if you have any concerns or questions about your child joining North Huddersfield Trust School.